The Upper Nithsdale Combination comprised the parishes of Closeburn, Dunscore, Durrisdeer, Glencairn, Keir, Kirkconnell, Morton, Penpont, and Sanquhar. The total population of the member parishes in 1881 was 13,921. In 1855, a Combination poorhouse was erected at Gatelawbridge. Its location and layout are shown on the 1899 OS map below. Upper Nithsdale poorhouse site, 1899. 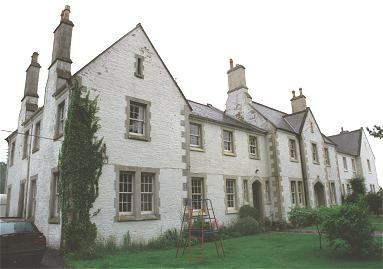 Upper Nithsdale entrance lodge from the north, 2001. There was a small entrance lodge at the west of the site where the workhouse porter resided. Upper Nithsdale main building from the north, 2001. The main building comprised a single large block. The central portion would probably have contained the Governor's quarters, committee rooms and perhaps a clerk's office. The two wings of the front block contained male and female accommodation, probably with the aged and infirm at the front side and able-bodied or "dissolute" inmates at the rear. Upper Nithsdale Poorhouse from the north. To the rear were a number of small utility and workshop blocks, perhaps including a laundry on the women's side. The poorhouse later became Rowantree House Poor Law Institution. In 1946, it had 52 beds. An official report at the time described it as 'very inaccessible and quite unsuitable for the treatment of the sick'. It continued to provide council-run accommodation until the 1970s. 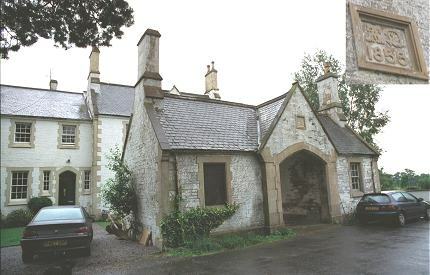 It has now been converted for residential use. Dumfries and Galloway Archives, 33 Burns Street, Dumfries DG1 2PS, Scotland. 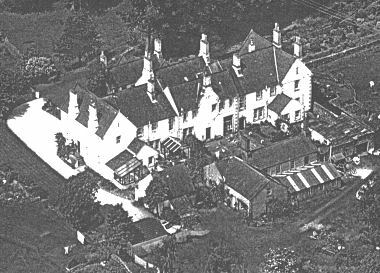 Holdings include: Rowantree House clothing stock books (1932-1951); Tenders for supply of goods and invoices; Lunacy and other returns to Board of Supervision (1861-1870).